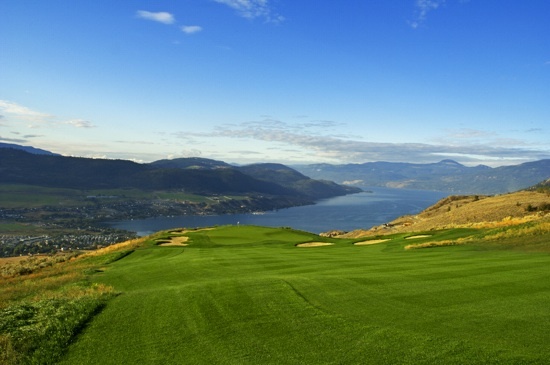 The Rise’s breathtaking scenery and incredible views have taken golf to a whole new level in the Okanagan. 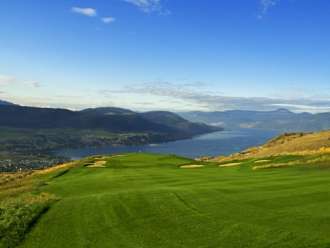 It is the only Fred Couples signature golf course in the Okanagan Valley, and it was nominated for ‘Best New Course in Canada’ in 2009 by Score Golf magazine. 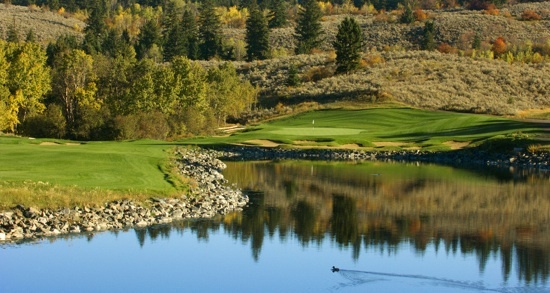 The course’s fairways hook and slice through rugged rock and pristine wetlands, distracting shooters with awesome lake views 400-metres below. 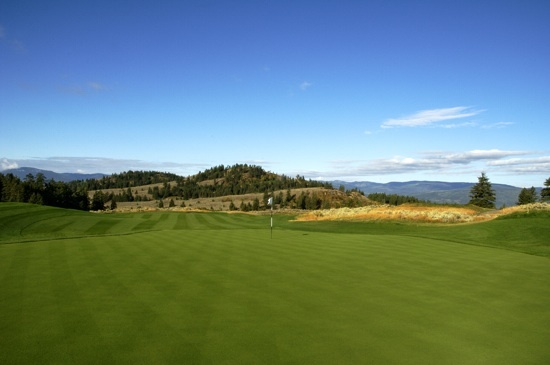 Our Pro Shop and practice facility have the latest golf equipment and expertise to help each golfer prepare for their round at The Rise. 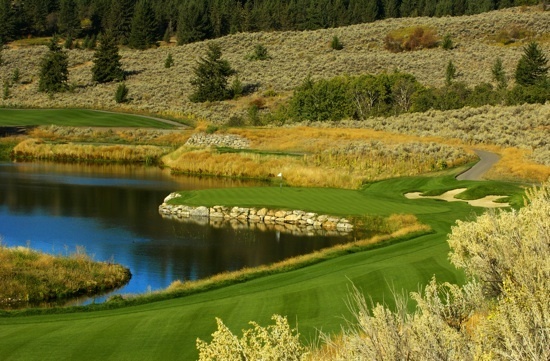 Deciding which club to use is one thing, what ball to hit another; each hole at The Rise has five tee-off areas from which beginner to scratch golfers may choose. 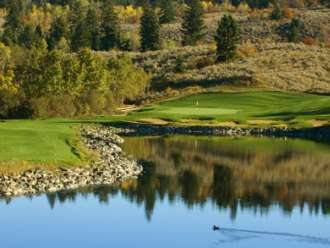 Golfers have no choice on hole 17 of this 18-hole signature golf course: teeing-up from any spot makes one feel as though they are driving right into Lake Okanagan. 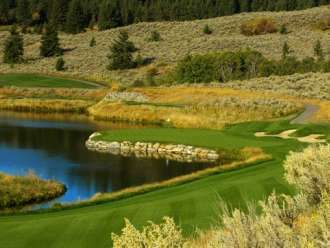 Golf is sometimes a game of luck, and that’s what may be required to safely navigate the waters of ‘Amen Corner’ at holes 15 and 16. 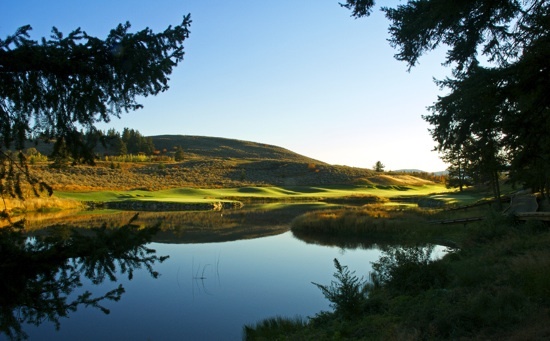 The Rise’s ‘19th hole’ is Freddy’s Patio Restaurant, and it is a casual venue at which golfers can enjoy gourmet food and stunning views while swapping golf stories.